Open shelving has become increasingly popular in recent years and why shouldn’t it? It is a great way to display items and is super functional. While open shelving is usually used for displaying items, we often need these pieces to store more than just the pretty things. Not all of the items that we put in our open shelving and storage are things that we want constantly on display for guests (or ourselves) to see. That is where storage baskets, boxes and bins come into play! 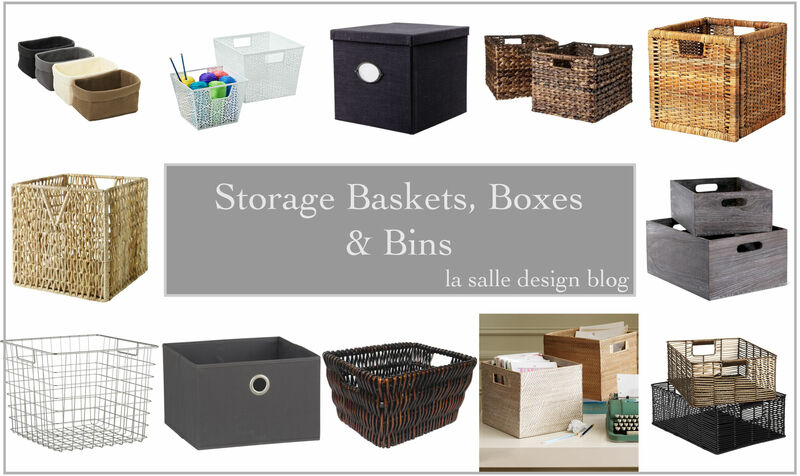 They are a fantastic way to store papers, photos, electronic components, magazines, wires, toys, DVDs, stuffed animals, linens, CDs, and any other miscellaneous junk you can manage to shove into them. In my opinion, the best part of using this type of storage, is that you can completely customize it to your own taste preferences. 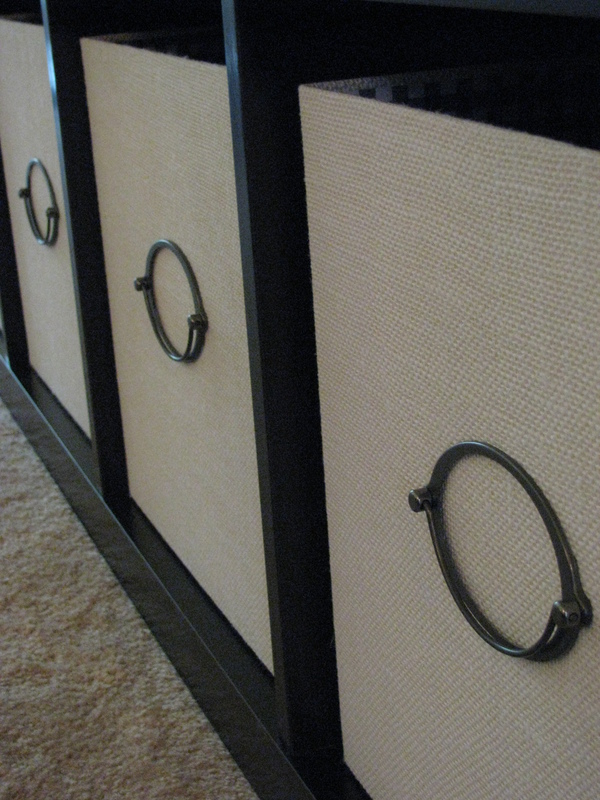 You can use canvas boxes, metal bins, wicker baskets… the list goes on and on. I was recently on the war path to find something to fill our Expedit shelves from Ikea. 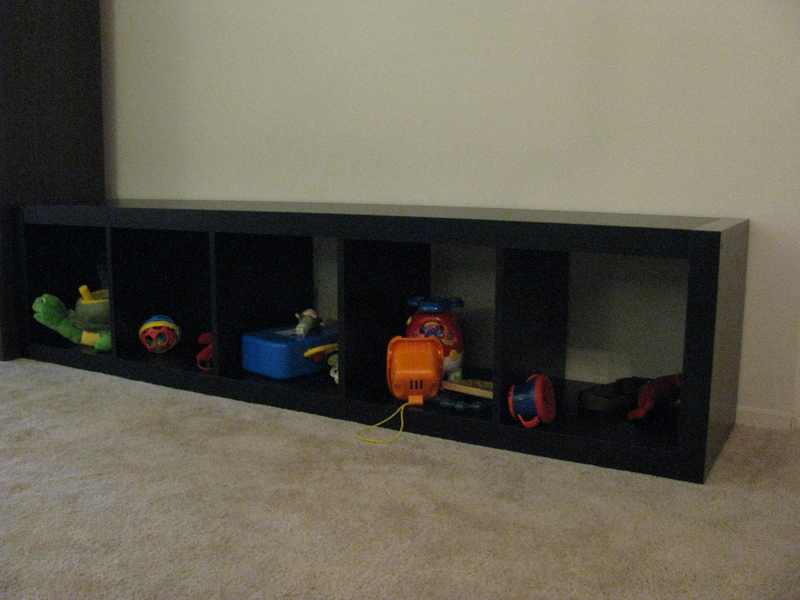 In our previous place, we used two of these shelves, one on either side of our entertainment center, as storage for books, photos, and Christopher’s toys. It would be an understatement to say that they were full. Upon moving into our new place, we were able to put all of our decorative accessories and books in the amazing built-in bookshelves (photos to come later). 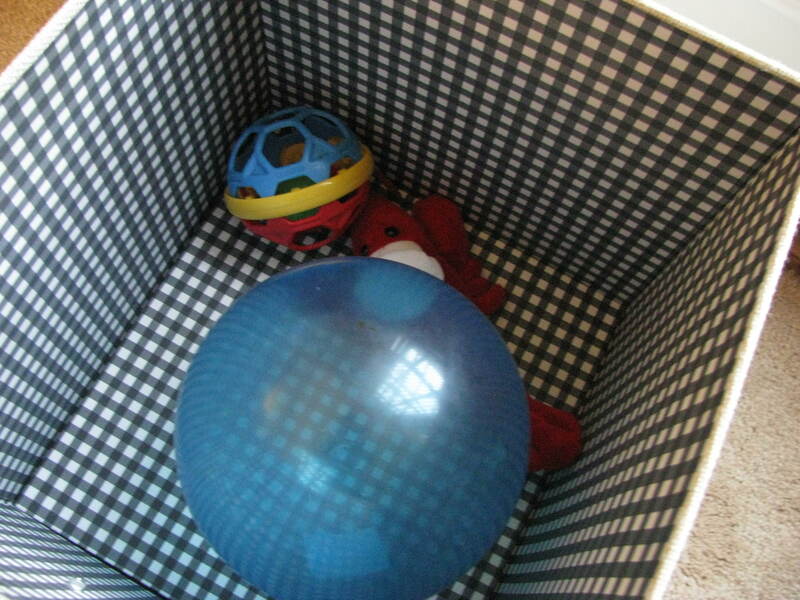 And the other is in Christopher’s room housing a plethora of fun. 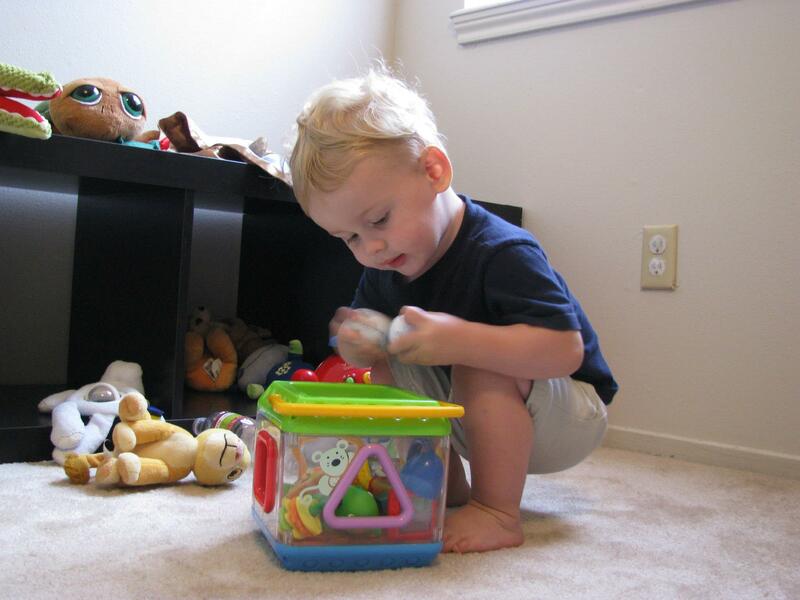 We want to keep the living room more adult space and less play-place. So I decided that I definitely wanted storage that would conceal the toys we are allowing in that room. I did a lot of looking and decided that I should share some of the options that I found with all of you. 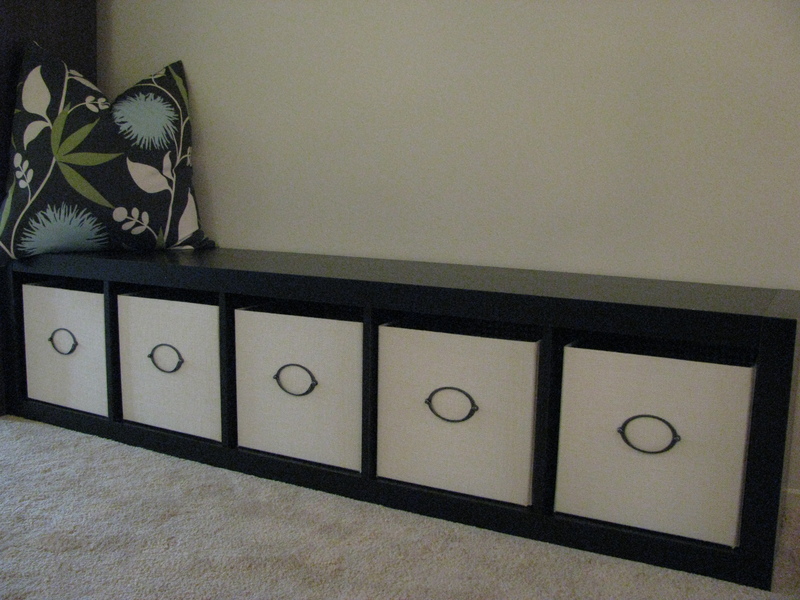 *Note: The Expedit shelf opening measures 13″W x 13″H x 14-5/8″D. Some of these items do not fit in the Expedit shelves, but would still be great in another application. 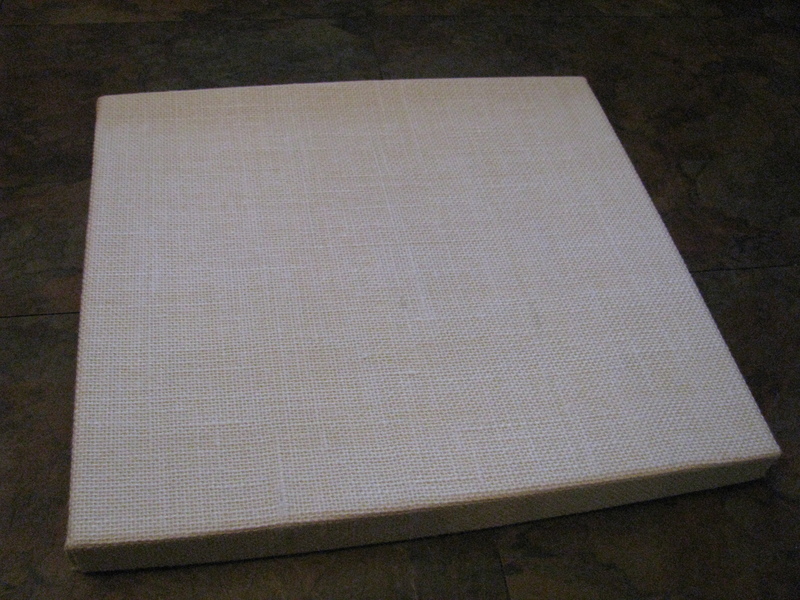 Be sure to measure the shelf or opening where the basket will be used and confirm that it will fit before purchasing. So… Which one did I choose for our living room? Though I liked the Kvarnvik in Dark Blue, I really did not want to have both the Expedit shelves and boxes dark. Perhaps I also chose them because in the search for something to fill the shelves I discovered that my crazy wonderful husband has an aversion to wicker. Also, I really love the lining of these boxes. Tres cute! 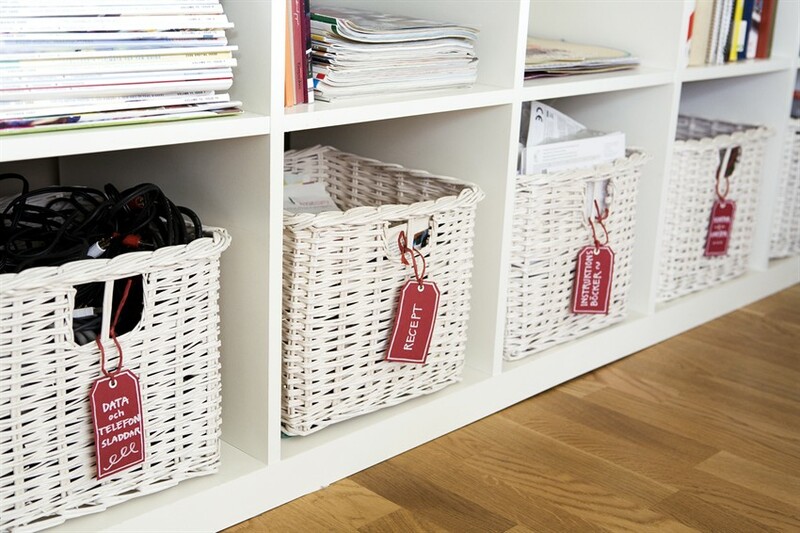 Are you using any baskets, boxes and bins in your home for storage?